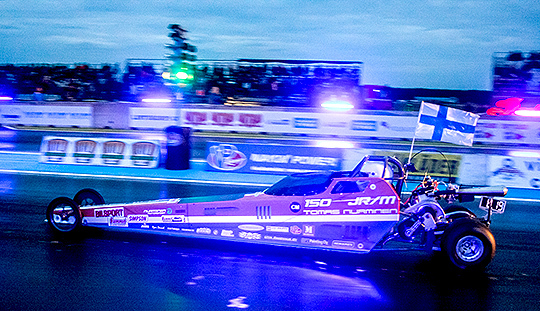 Finnish race season has come to and end with style and good racing. Kauhavas new track improves step by step and facilities are nice for racers and spectators. 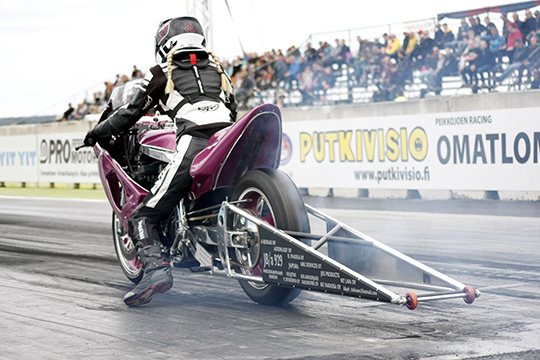 Event winners of the Summit Racing EDRS Series this time was in Jr Dragster Riina Raussi and Milo Ahonen in Jr Dragbike, as also became Champion in the Finnish Championship of Jr Dragbikes. The number of participants to race was bigger than usual and grandstands was filled up during the night race. Racing started already at friday morning by qualifications and many made improvement to their pb-times. 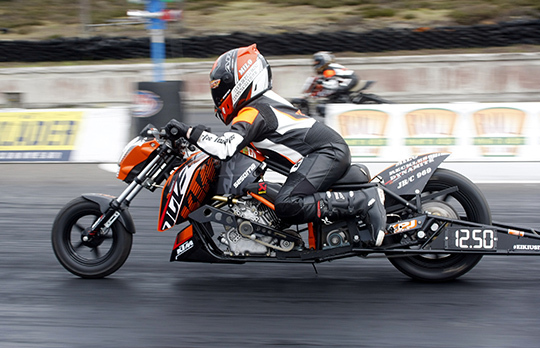 Eliminations started well on saturday, but some rain interupted the whole event. So, it was a bit tight schedule to manage the whole race. Luckily it went well and only two classes (TD and Comp) had to drive their semi and finals at sunday in the spareday. There was really spectacular wheelies during the race and very even racing. 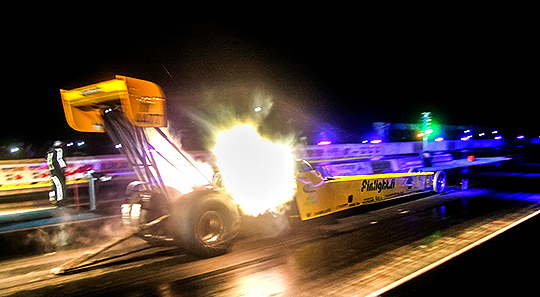 Monster truck show, fireworks, nitro bike launches and Timo Lehtimäki showed impressive TF Dragster runs with 4,353s and top speed 390,61km/h in to the darkness! Happy champions and trophy winners was celebrated later in the evening.